Golf facilities often provide rental clubs for a fee, if you do not have your own set. Many courses have rental sets of clubs available for golfers who do not bring their own. A golfer on a business trip, for example, may get a spur-of-the-moment invitation from a colleague to go out and play the course affiliated with the hotel they're staying in. Golfers also borrow clubs from friends and relatives instead of purchasing their own. You don’t have to have your own clubs to play, but your enjoyment of the game will be enhanced if you do. 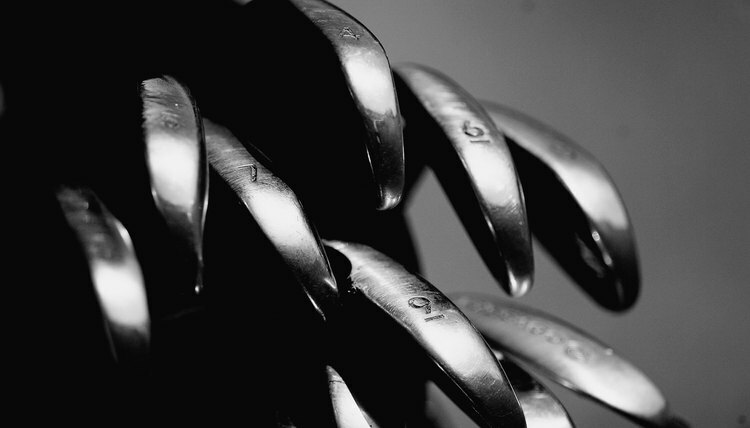 How often you play has a bearing on whether you purchase clubs. If you are just beginning to play golf and are not sure whether you will pursue it as a recreational activity, borrowing a set of clubs from a friend can work just fine. You don’t have to make a financial commitment to golf equipment before you decide you enjoy the game. Perhaps you aren’t a beginner but only play once or twice a year, when you’re on vacation. You can get by with borrowing a set of clubs or renting them from the course. You can’t always depend on a golf course having rental clubs available. The course may only have one or two sets, and during the busiest season these may be rented every day. The facility may rent the clubs on a first-come, first-served basis, and you could arrive at the course on the day of your tee time and find that clubs aren't available. Rental clubs' quality varies greatly from course to course. Some upscale golf resorts have new sets of clubs with the latest technology, such as titanium heads and graphite shafts. You might find that the resort's rental equipment is nicer than your clubs at home. At the other end of the quality scale, rental clubs could be an old, mismatched set with outdated technology. Golfers serious about improving their skill--and their scores--need clubs that fit their height and swing speed. When buying clubs, a golfer chooses the length of club shaft, the shaft flexibility, and the combination of woods, irons and hybrid clubs he wants. If you rent a different set of clubs every time you play, you'll never have time to get used to the clubs’ performance, or develop the subtle feel you need for short shots such as pitches and chips. Rental clubs can cost a golfer several strokes per round, just because he is not familiar with them. Jack Nicklaus says in his book “My Golden Lessons” that playing the wrong equipment can defeat a golfer’s goal of improving his game. A set of golf clubs can last for 10 years or more if you take good care of them. In making a rent-vs.-purchase decision, consider the time you are likely to use the clubs. If you divide the cost by the number of years of use you expect to get out of them, purchasing clubs is your best bet. It’s more convenient, you’ll play better and you won’t be paying club rental fees anymore.